October is Breast Cancer Awareness Month, but it's important to raise awareness about the issue of breast cancer all year long. You can crochet for cancer awareness. You can crochet items for yourself that will encourage conversations about breast cancer when you use them. Alternatively, you can crochet items for charity, giving to breast cancer survivors, families and those still living with the disease. Here are ten great breast cancer awareness crochet patterns. Crochet can also be done by people with breast cancer to help them through the difficulties of the diagnosis. For example, Margaret Mills crocheted for self-esteem after her mastectomy. This pink crochet pillow pattern is one of the 26 Breast Cancer Awareness crochet patterns in the book Crochet Pink. 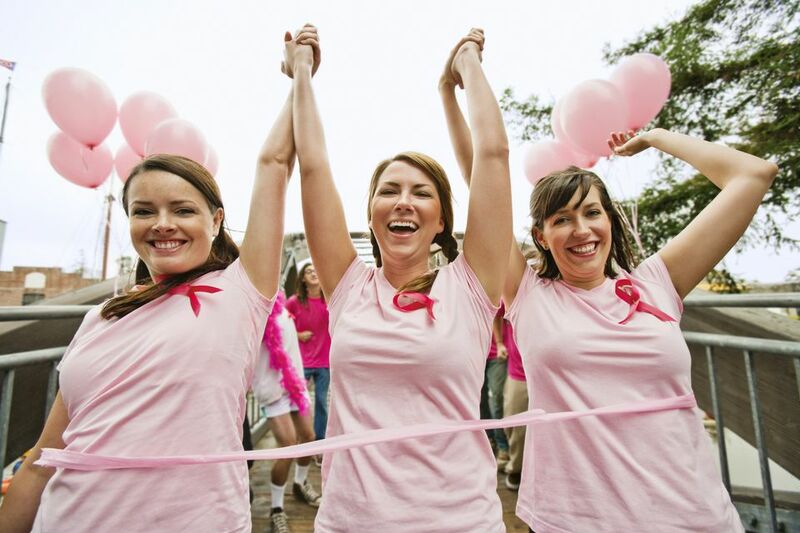 This is the best resource available for crochet patterns to raise awareness about breast cancer, as well as to create gifts to give to related charities. The pink pillow is a comforting item that can be taken to chemo treatments. 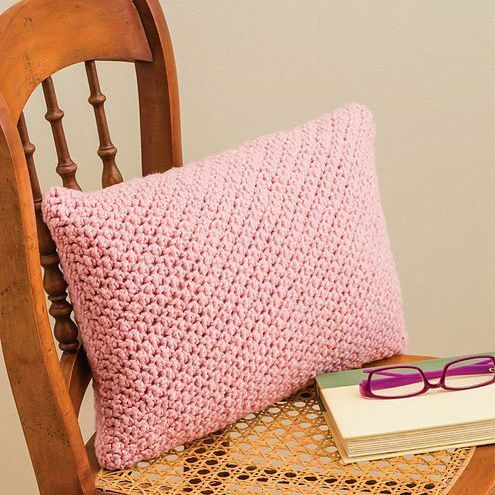 This free crochet pattern is for a conversation-starting pillow that will immediately remind any woman who sees it that she should be doing her self-exams to check for breast cancer. It's a 3-dimensional art crochet pillow pattern from Crochet Parfait. Show your support on your head with a beanie crochet pattern inspired by the cause. This striped crochet hat is adorned with the breast cancer awareness ribbon. Wear it and don't be surprised when people share their stories with you! Wear a pink crochet scarf at any time of year in support of raising awareness about breast cancer. This free crochet scarf pattern will give you a scarf that includes the breast cancer ribbon emblem stitched right into it through negative space (similar to filet crochet stitching). This is another version of a pink ribbon scarf, with small ribbons worked right into the rows of the design. It is a free video pattern from Naztazia, who also has a crochet wrap pattern in the same design. A subtler design that still makes a strong impact is this skinny pink and white crochet scarf pattern. It is offered as a free pattern download through Ravelry. An interesting variation on the pink ribbon crochet scarf is this free SnappyTots crochet pattern, which includes a keyhole to create a scarf that can actually be shaped like the pink ribbon emblem. You can wear it, but you can also display it when it's not being worn to continue raising breast cancer awareness. This is a free crochet pattern for download on Ravelry. This free crochet square pattern from Lisa Hamblin is a great project to crochet for charity. Crochet a big set of them and make a blanket by yourself and or encourage a whole group to get together and crochet individual squares to stitch together into a blanket of love. This kind of collaborative crocheting for charity can be really healing for all involved. Here's an alternative option to the above crochet square pattern. This one is also a pink ribbon crochet pattern, but the whole thing is worked in pink with the ribbons popping out in texture. The two different squares could be combined together to make a unique crochet blanket for breast cancer awareness. This crochet pattern is available as a free download on Ravelry. The simplest item that you can crochet for breast cancer awareness is a cotton pink ribbon. This can be used as a pin or appliqué that can be handed out and attached to any number of different items. It's a perfect choice that can be crocheted quickly. This is a Spanish crochet pattern by Lanukas.